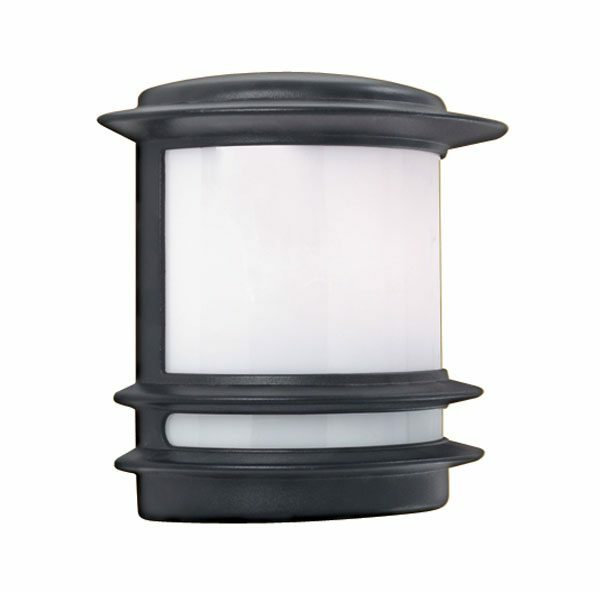 The Stroud black half round flush fitting outdoor wall light in an Art Deco style is simple and attractive. The curved opal polycarbonate shade creates an excellent source of light for any of your outdoor walls. The fitting is splash proof IP44 rated to protect against the weather and still generate sufficient light for your drive, pathway or outdoor area. An Art Deco style black finish, half round IP44 rated, flush fitting outdoor wall light, complete with an opal polycarbonate light diffuser. Manufactured from chromate treated cast aluminium with a 3-year manufacturers finish guarantee.